Oaxaca has become my favorite town in Mexico. Almost unknown to travelers during my first visit in 2006, it now welcomes visitors from around the world, including many North American expats and snowbirds. Yet it still retains the feeling of an authentic Mexican town. If you want everyone to speak English, go to San Miguel de Allende instead. Without more ado, here are 7 reasons to visit Oaxaca. Between November and March, Oaxaca enjoys a nearly perfect climate. The North American winter corresponds to its dry season, which means sun every day, and virtually no rain. However, given its location in a valley at 4,900 feet, it’s not stiflingly hot. In fact, mornings and evenings can be downright chilly. But by late morning the sun has warmed up the air to 70 degrees or more and you can peel off the layers. It’s T-shirt weather once again. This dry temperate weather is also the perfect climate to grow coffee! I’m one of these people who need a cappuccino every day. As a coffee-growing region, Oaxaca has coffee shops on pretty much every corner in the town center. The espresso coffee is comparable to what I drink in Toronto, but about half the price. Little hole in the wall Café El Volador (at Xolotl 118) is my favorite, both for the quality of its coffee and the intimate atmosphere. If you prefer a North American-style coffee shop, you can’t go wrong with Café Brujula (two locations: Alcalá 104 and Alcalá 407). Oaxaca is one of the top foodie regions in Mexico, just after (or some say on the same level as) Mexico City. It is the birthplace of mole sauces, thick concoctions containing up to 31 ingredients. 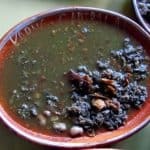 Oaxaca also features its own soups and other specialties like stuffed peppers, tlayudas (similar to a pizza on a giant baked tortilla), hot chocolate (made from chocolate bars), and chapulines (fried grasshoppers) among others. 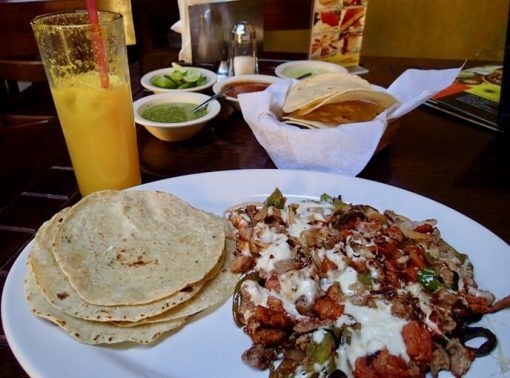 If you want non-Mexican foods, you’ll find good whole-grain bread, salads, pastas, crepes, and more. Fruits and fresh fruit juices are also readily available and cheap. Find out where to eat in Oaxaca. 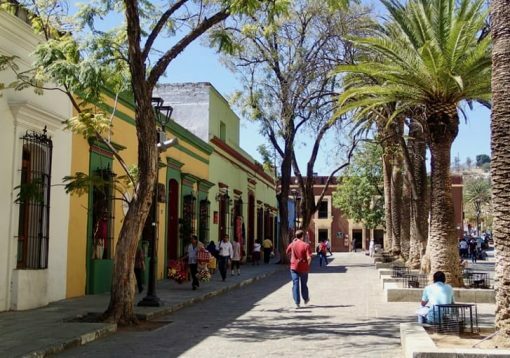 Oaxaca is a Spanish colonial town, with an extremely well maintained historical center. Buildings are painted in shades of deep yellows, oranges, and reds, as well as blue, green, even pink. Mountains surround the city, giving the horizon texture. And the light has a special quality, which makes almost every picture you take of the colorful buildings against the blue sky particularly vibrant. Walking around is very pleasant, especially north of the Zócalo (main square), thanks to even sidewalks and a wide pedestrian thoroughfare called Alcalá. The churches are especially stunning in Oaxaca. You don’t want to miss Templo de Santo Domingo with its insanely ornate interior. While you’re there, take a tour of the enclosed Jardín Etnobotánico (botanic garden) featuring a wide variety of regional cacti. You will find churches on almost every corner, waiting to be explored. Not surprisingly, this amazing light and physical beauty give birth to all manners of artists. Painters, potters, and weavers produce a variety of handicrafts that you can buy in town or in the surrounding villages. The most common are carpets (tapetes), black pottery, and alebrijes, delicately carved and painted wooden figures of animals, real and imaginary. 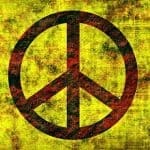 Local artists also expose in art galleries and coffee shops. Wherever you sit, you’re usually staring at a mural or other painting, sometimes entire walls filled with them. One real estate agent I met almost immediately told me that he was a watercolor painter. 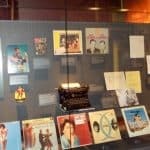 The cultural scene also features concerts, movies, live music, exhibitions, and lectures, many of them free, in addition to a plethora of museums. The Teatro Macedonia de Alcalá and Centro Cultural San Pablo are two places to check out for events. For something a little grittier, wander around the markets just south of the Zócalo, along street 20 de Noviembre. 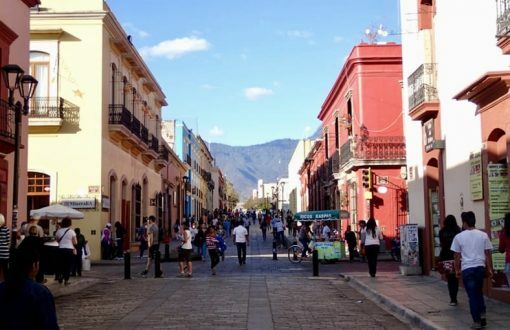 Besides casual travelers, Oaxaca seems to attract a mixture of expats of different ages, nationalities, and interests. The temporary residents are learning the language while trying to use it, and participate in community activities like language exchanges. Unlike in other popular retirement destinations, the expat scene in Oaxaca doesn’t feel cliquish. 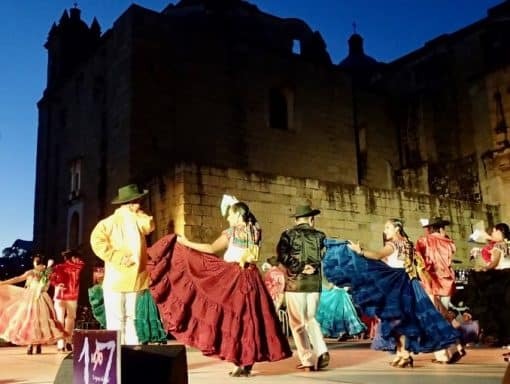 A good place to meet people (both locals and foreigners), and find out about Spanish lessons as well as other events, is the Oaxaca Lending Library (Pino Suarez 519), a library and cultural center serving the English-speaking community in town. Even though Oaxaca itself could keep you busy for weeks, most visitors take a few day trips to the surrounding valleys. 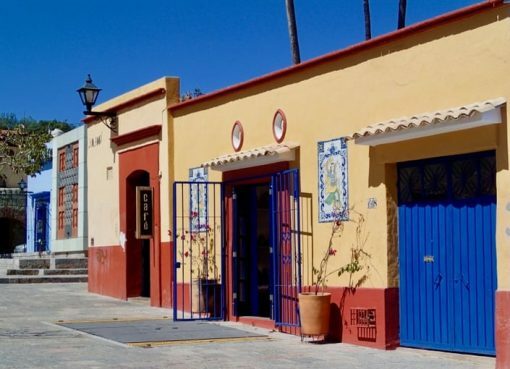 These are home to several indigenous villages that host markets on different days of the week, as well as artisan workshops, mezcal factories, and ruins of pre-Hispanic civilizations. Many of these sites can be visited on half-day or full day tours organized through agencies in Oaxaca. This saves you the trouble of having to find your own transport and provides you with the services of an English-speaking guide. 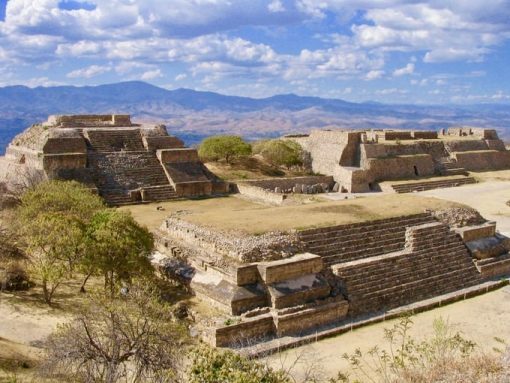 If this is your first time in Oaxaca, make sure to visit Monte Alban and Mitla, two of the best pre-Hispanic archeological sites, as well as the villages of Teotitlán del Valle (carpet weaving), San Bartolo Coyotepec (black pottery) and San Martin Tilcajete (alebrijes). There is also a giant Montezuma cypress tree in the village of Santa Maria del Tule that is worth a look. If you want to hike in nature, Hoofing it in Oaxaca is a not-for-profit organization that offers one or two guided hikes a week in the surrounding mountains from November to March. For a small fee of 120 to 300 pesos ($6.25 to $15.50), you get transportation and the services of your English-speaking guide, Larry. Highly recommended. How to get there: You can either fly directly into Oaxaca airport (through Houston or Mexico City), or take a 6.5-hour bus ride from Mexico City. Highways and inter-city buses are very good in Mexico. 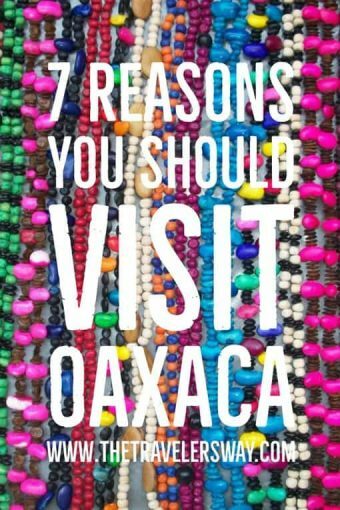 Costs: Once there you will find that Oaxaca is very affordable. This is not Cancun! You can get an excellent “menu del día” (for lunch) for $7 or less, and a room in a good 3-star hotel for $37 (as of this writing, the exchange rate is about 19 pesos to $US 1). Author Bio: A long-time resident of Toronto, Marie-France Roy is a Canadian freelance writer who’s been exploring the world mostly solo for 25 years (although not continuously). She’s especially fond of sunny destinations with good coffee. Her blog Big Travel Nut focuses on affordable solo travel for the 40+ crowd. You can also connect with her on Facebook and Twitter. Disclosure: This post contains affiliate links. Clicking through for additional information or to make a purchase may result in a small commission being paid. By doing so, you help support this site and its authors, and we thank you. 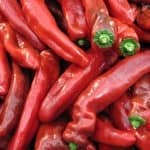 Culinary Heat: Hot Enough For Ya?